Avoid all chemical relaxers. This seems like a no-brainer, but I know plenty of curlies that cave in and revert to relaxers. Growing out your natural hair can be a long process. A lot of women give up too early because they aren’t getting the results they want. Remember, these things take time. Be patient! When transitioning to natural hair, it can take several months to get the length and health you are looking for. Don’t get discouraged. Fortify those strands! The best way to make sure your hair grows in a healthy way is to make sure it gets the proteins it needs. There are tons of products to cater to the needs of transitioning to natural hair to give your hair the nutrients it needs. One of my favorites is Curly Hair Solution Pure Silk Protein Moisturizing Treatment. It gives strands a boost of keratin and protein for strong hair. In fact, you should try to do a protein treatment like this one once a week to get the best results. When looking to make hair stronger, another ingredient to look for is keratin. Much like protein, keratin is one of the natural building blocks for hair. It is best to try to add a shampoo that has keratin repair as part of the ingredients, such as Tresemme Keratin Shampoo, to reap the benefits of this nutrient. Another way to make your strands stronger is to make sure you aren’t brushing them too harshly which can lead to breakage. Always make sure you use your favorite detangler when brushing to avoid hurting your strands. Use Protective Styles. There are many reasons protective styles are great for transitioning hair. They allow you to avoid the awkward stage of having multiple textures. They are easy to maintain and style meaning you handle your hair less often. Not handling your hair as much allows it a chance to grow strong and long without fear of breakage. 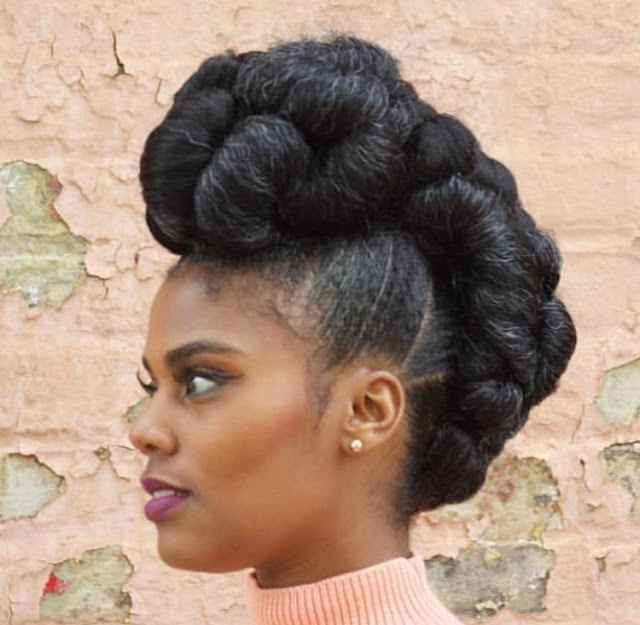 A few styles that are great for hiding the stage of transition with multiple textures at once are flat twist and bun, flexi rod sets, and twist and curl. Check out some great tips for making these styles work for you here. Trim regularly. When growing out your natural hair, cutting your hair may seem counterproductive but it is important to trim away the dead hair at the bottom. This gives your healthy hair that is still growing the chance to grow longer while helping give you a head of hair that is mostly new, untreated hair. It is recommended to get a trim every 4-6 weeks depending on your hair growth. There are tons of tips for making the jump to natural hair. No matter what tips you choose to follow, remember that your hair journey is unique to you. Do what feels best for your curls and I promise you’ll love the results!